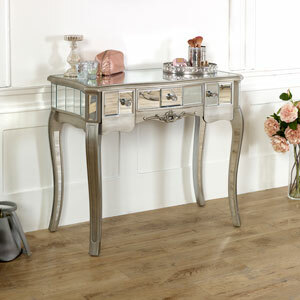 This stunning dressing table stool is part of our Tiffany Range, a silver bevelled mirrored collection of furniture. With soft cushioned seat and mirrored legs, this elegant stool would look amazing in a bedroom, dressing room or living room. 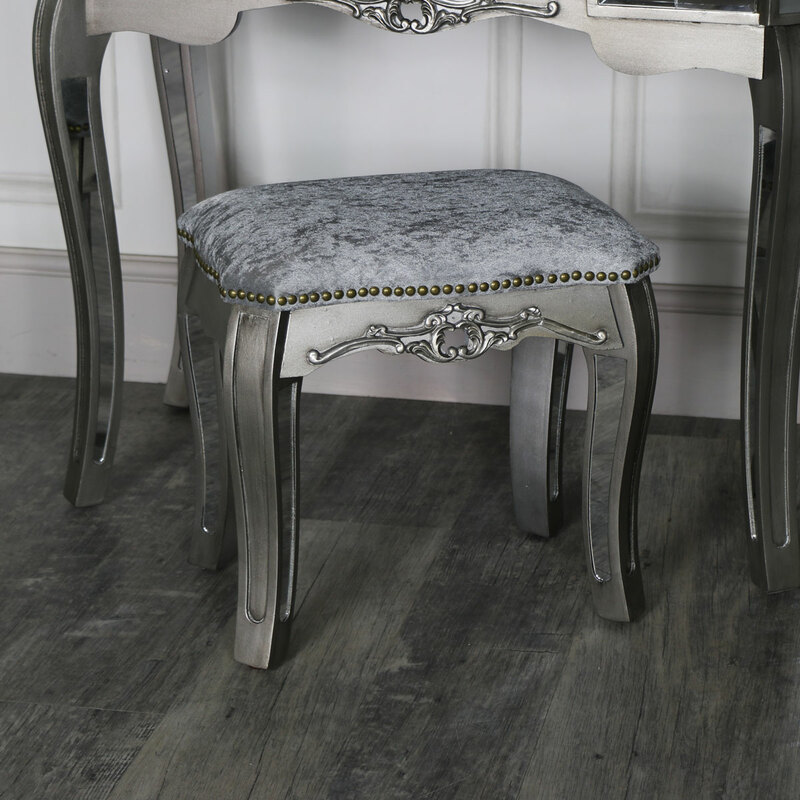 Seating and comfy style that is fit for a Princess! 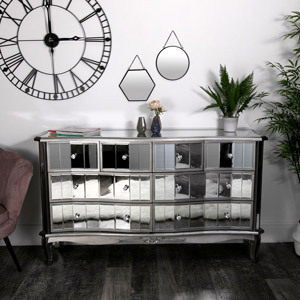 Ensure that you're rested and relaxed whilst you get ready or use as the prettiest extra seating that will look perfectly at home in your bedroom, living room or hallway. 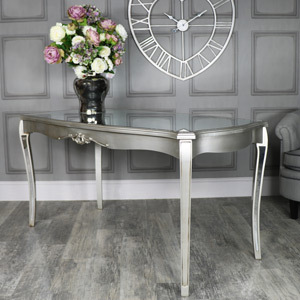 Soft grey cushioned seat upon an ornately carved wooden base in a silver painted finish and finished off with mirrored bevelled panelling on the legs. 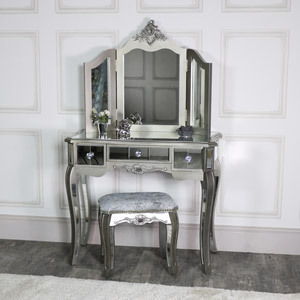 Put this together with our Tiffany dressing table and mirror and you have the perfect space for getting ready. 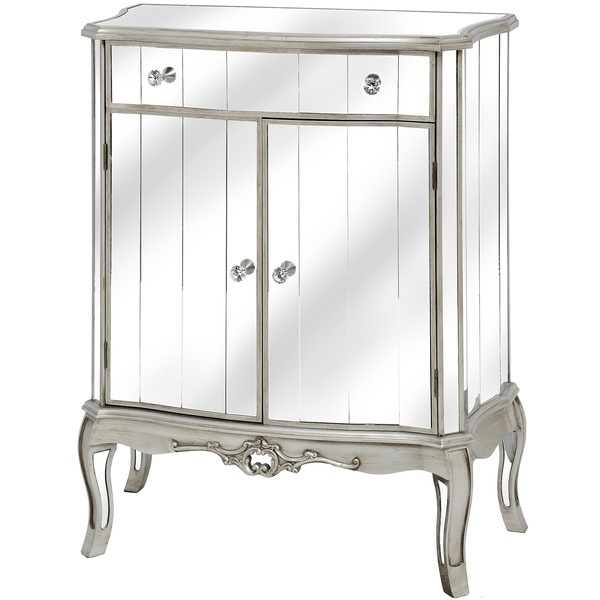 With even more furniture available in this beautiful range for you to furnish your home from top to bottom. 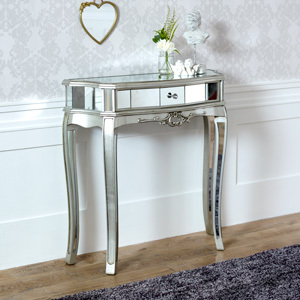 This stunning dressing table stool is part of our Tiffany Range, a silver bevelled mirrored collection of furniture. With soft cushioned seat and mirrored legs, this elegant stool would look amazing in a bedroom, dressing room or living room. Seating and comfy style that is fit for a Princess! Ensure that you're rested and relaxed whilst you get ready or use as the prettiest extra seating that will look perfectly at home in your bedroom, living room or hallway. 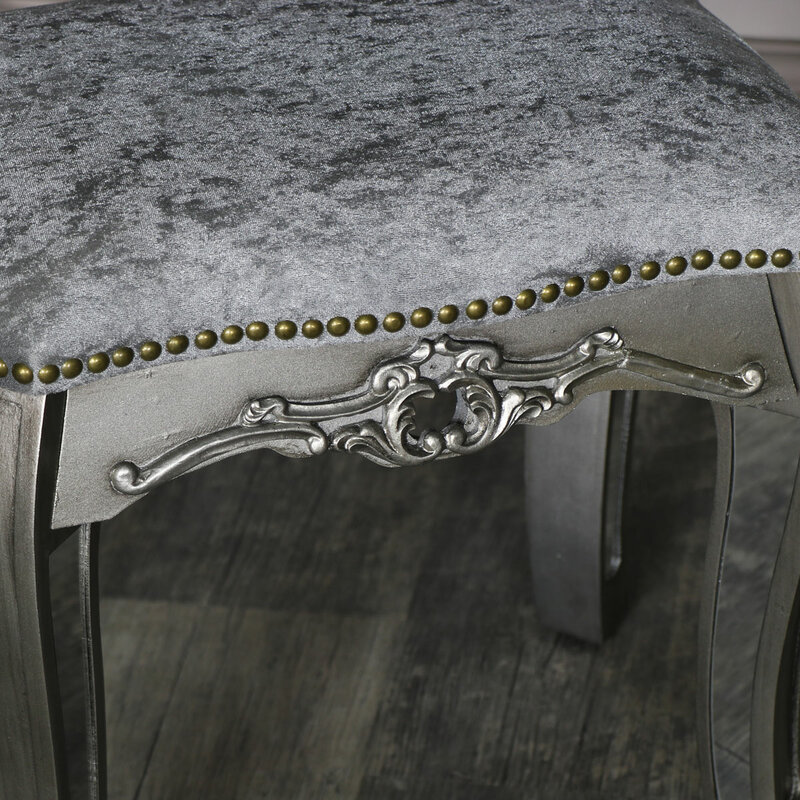 Soft grey cushioned seat upon an ornately carved wooden base in a silver painted finish and finished off with mirrored bevelled panelling on the legs. 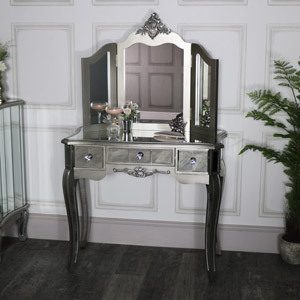 Put this together with our Tiffany dressing table and mirror and you have the perfect space for getting ready. 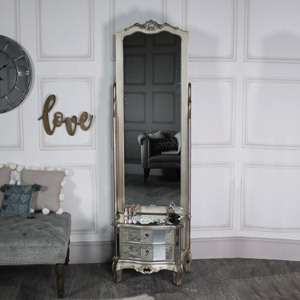 With even more furniture available in this beautiful range for you to furnish your home from top to bottom. 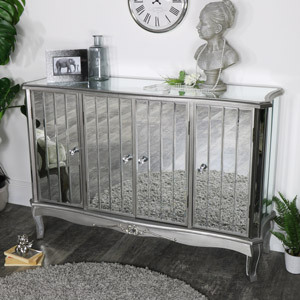 Design with luxury in mind, this frame is made from wood and painted in a vintage silver finish with a grey cushioned seat. 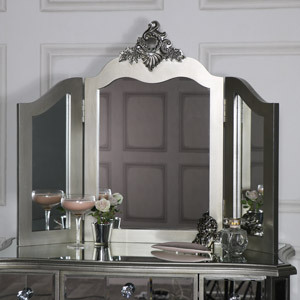 Mirrored panels on the legs help to create a glamorous look. Comes fully assembled. (Please note this range now has bevelled glass due to design improvements).